Giving you the story behind all your favourite designers, our Brand Focus goes behind the scenes to find out what makes some of the World’s biggest brands tick. 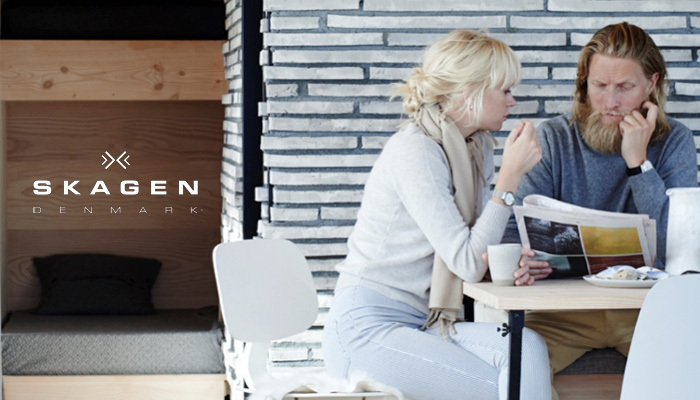 Specialising in stylish lifestyle items and accessories, Skagen aims to bring Danish-inspired ideals to the world through design imbued with purpose, honesty and simplicity. 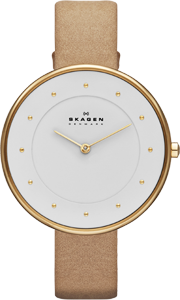 Inspired by the breathtaking wide-open vistas of Denmark’s northernmost town from where the brand takes its name, Skagen have become the epitome of stylish simplicity and sophisticated design, presenting high-end style without the high-end price tag. Believing in a philosophy of design and manufacturing excellence, the Skagen collection offers a range of stylish timepieces that reflect the new evolutions in Danish minimalist design. 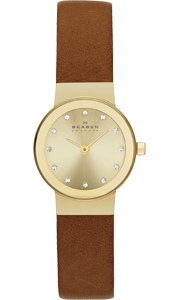 Founded in 1989 by Henrik and Charlotte Jorst, the Skagen brand has evolved from a tradition of strong family values as well as an enduring love of Denmark. Remote, isolated and breathtakingly beautiful, Skagen takes its name from an ancient fishing village located at Denmark’s northernmost tip. For centuries, artists have been inspired by Skagen, making pilgrimages to the area to witness the stunning natural light, beautiful nature and unparalleled blue sky. Now Denmark’s largest fishing port, Skagen is full of fascinating contrasts, with traditional yellow painted houses with red tile roofs standing proudly next to world class modern architecture. Natural sandy colours create a perfect backdrop for a nearly edgeless crystal which reflects the wide-open possibility of the sea. Inspired by the simplicity of the Danish lifestyle, this feminine design proves that minimal style can make a bold impact. A monochromatic reflective case recalls the shine of sunlight against an endless blue sea. With a rich intellectual and artistic heritage, Denmark’s culture is reflected through Skagen’s reverence of Danish design, which strives to offer an escape from complexity, encouraging thought and reflection, and a release from a fast-paced world. Danish design is a style of functional design and architecture that was developed in the mid-20th century. Focussing on the ideas of simplicity and functionalism, its key element is the genuine interest in the users of a product. The characteristics developed are user-friendliness, respect for materials, simplicity, and a desire to achieve a certain honesty and simple beauty. Immensely proud of their Scandinavian heritage, Skagen work with Danish photographer Ditte Isager to make their lifestyle photography something really special. Graphic, cinematic and poetic, her images are filled with a magic that comes from within, as well as a pure love of the unique Scandinavian light. 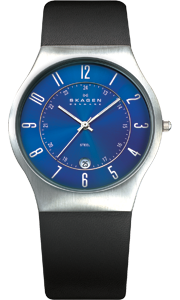 The Skagen logo is a representation of Kattegat and Skagerrak – the two northern sea-bodies which meet at Skagen. It is said that the striking blue colour in Skagen is caused by the salt crystals thrown up into the air at the meeting point of these two seas. Adding to its list of accolades, 2013 saw Skagen presented with another Red Dot Design award for its striking Hiromichi Konno watch. A competition which has existed since 1954, the Red Dot is an internationally recognised quality seal. Designed by renowned Japanese industrial designer Hiromichi Konno, the inspiration for this sleek and sophisticated timepiece was to “weave the beauty of contrast and harmony together into a minimal design”.